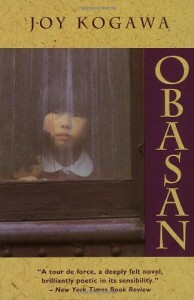 I knew of "Obasan" long before I read it; it wasn't compulsory reading in any of my high school or university courses (as it has since become, so I hear) but it was discussed, and unlike most novels its publication arguably had a material effect on society at large. It's generally acknowledged that Kogawa's 1981 imaginative depiction of the plight of Japanese and Japanese-Canadian internees in WWII and after was a contributing factor in the government's eventual (1988) apology and settlement, shamefully so many decades after the wrongs were done. 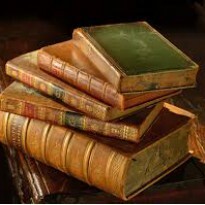 So it's an important novel, but was it an enjoyable read? My four stars, I must admit, are somewhat more respectful than enthusiastic. There are passages that are utterly riveting, particularly in the latter half once the characters have established themselves. I like the POV, that of a young girl, because it allows for quirky observation, and a softening (since children are resilient) of the trauma of dire material and emotional damage inflicted by the xenophobia and racist actions of the government. This does not mean that Naomi is not traumatized by the fracturing of her family, and the eventual death of both her parents. In fact, partly due to the cultural value of staying silent (referred to throughout the novel), she finds herself often in a world of inexplicable bad dreams. Naomi's silent victimhood, and that of her even more silent elderly female aunt, Obasan, is balanced by westernized and vocal Aunt Emily, whose talents for documentation and indignation bridge the gap between Naomi's remembered if rather uncomprehending childhood and her present, in which she finally finds out the fate of her missing mother. (If I say the word Nagasaki, it is probably a spoiler). There is a lot of death in this novel - death of family, death of strangers, death of animals. It can get to be a bit much, and for me that was not totally balanced out by the lyricism and accuracy of the physical description, particularly that of the dry, strange province I grew up in, Alberta (actually felt it in my throat at moments). And since I come to this novel a full generation after the nation made its apologies and amends, I am not moved by the same outrage I probably would have felt as a young person in 1981 - yet still I was moved. So, four stars. Read it, but not on a day when you are depressed, because although it is not a deliberately depressing novel - it is quite a bit more nuanced than that - the circumstances that gave rise to it, the mindless, careless depravity of our own society's treatment of the other, are profoundly depressing in themselves, and all too relevant today as well.